Somedays I just want to sit in front of the tv and watch some movies, and that’s just what I did today. Three movies! First up, I joined Koa in watching Ant-Man and the Wasp, which was surprisingly funny. It didn’t seem very cinematic, but I enjoyed it. We also watched Star Wars: The Last Jedi again, which, upon a third viewing, wasn’t as bad as I thought it was. Still, not great, but I enjoyed the jokes more. Next up was the third and final movie in the Chihayafuru series, Chihayafuru: Musubi はやふる 結び. It was fantastic! 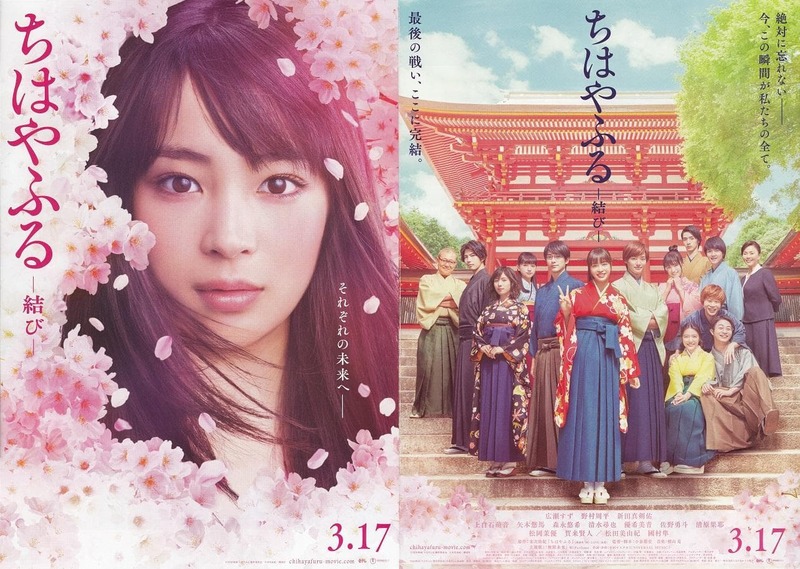 I am a big fan of the Chihayafuru live-action movies (or maybe just Hirose Suzu?) and am looking forward to diving into the anime and manga. The third movie was better than the second one, but maybe not as good as the first. I do like how the characters have grown, and enjoy Matsuoka Maya’s characterization of The Queen. She’s scary and hilarious. So fun!